Before the event I walked around waterstones for a couple of hours. It’s so strange still to go to events here by myself. Back home I always have at least some of my bookloves with me. About an hour before the event I met Steph from GeekyClean and Jemma from FantasticBooks. I hung out with both ladies at Alwyn Hamilton’s release party, so it was fun to see them again. Okay so I might have sat in Stephanie’s chair and channeled Deanerys before the event started Haha. Stephanie and Katherine shared a lot about their books and themselves. This was not their first book that they had written, but it is the first published one. They’d gotten many rejections, before getting a yes on this one. For Stephanie this was going to be her last try, and low and behold it was published. I’m really glad it was, because it’s great! She told us she likes to write books she likes to read but can’t find anywhere. The first aspect of this story that popped up in her mind was the game. She liked the fact that nobody knew what was real and what was not. Or who speaks the truth and who only tells lies. She wanted to keep us guessing until the end. I think she succeeded pretty well. Legend was her first character. She told the story of how she came to love the name, it was because of Marie Lu’s series Legend (Love these books). She thought it was about a character named Legend. She loved it so much that she used it. The sisters though, that she had to play around with. At first they were brother and sister and then friend, but a friend of hers pointed Stephanie to her own relationship with her sister, and so Tella and Scarlett were born. They also talked about a possible screen adaptation. Katherine wouldn’t mind if they didn’t stick to the book, she’d be to happy if it would happen. And she would love it if they cast unknown actors, but the one thing she really would not like is if they white wash characters. I understand that completely. I know that for Caraval they were talking about it. Stephenie would love to cast Lily Jones as Scarlett or perhaps Tella, seems like a good fit to me. Both of them wanted to write about real girls who have trouble with their teenage years, because they thought that their own teenage years were hard. 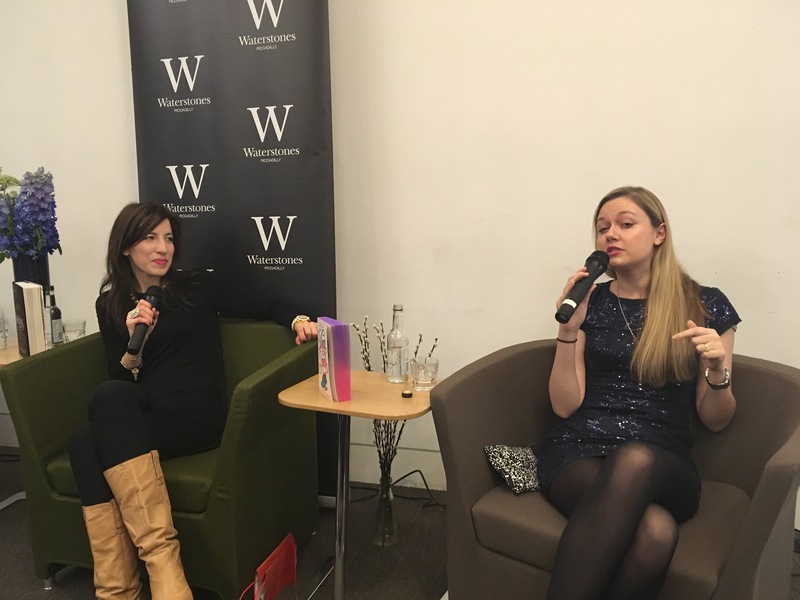 At the previous event Katherine talked about the strength of Wing in Wing Jones, but here she talked more about her realness. Wing’s brother has done something terrible. Something that many people do, drive while being drunk. Though nothing happens most times, there are the times that it can go horribly wrong. Wing has to learn to live with it. She’s also struggling with her dual heritage. A struggle that’s not uncommon in today’s society. And some girls even thanked her for writing this story because they felt that this was written about them. I too have a dual heritage, though I’ve never had any problems with this, I can see how it could be a struggle for others. Stephanie character Scarlett has something that she truly wants, but the moment she gets the chance, she’s afraid. Stephanie told us that she has that too, and I can recognize myself in this as well. This is not the only thing that makes Scarlett’s teenage years hard, but it is one aspect of her that makes her very real. Fun fact: Wing Jones stared as a NaNoWriMo story. (This is a month where you have to write 50000 words) At first it had real magic in it, now its mor of a Magical Realism. Katherine wrote 60000 words, and 6000 of those were one kissing scene. They were kissing for 10% of the entire book. She felt it was a shame that they had to cut it. I do understand, but I’d love to read it haha. They were both really nice and took their time with everyone. 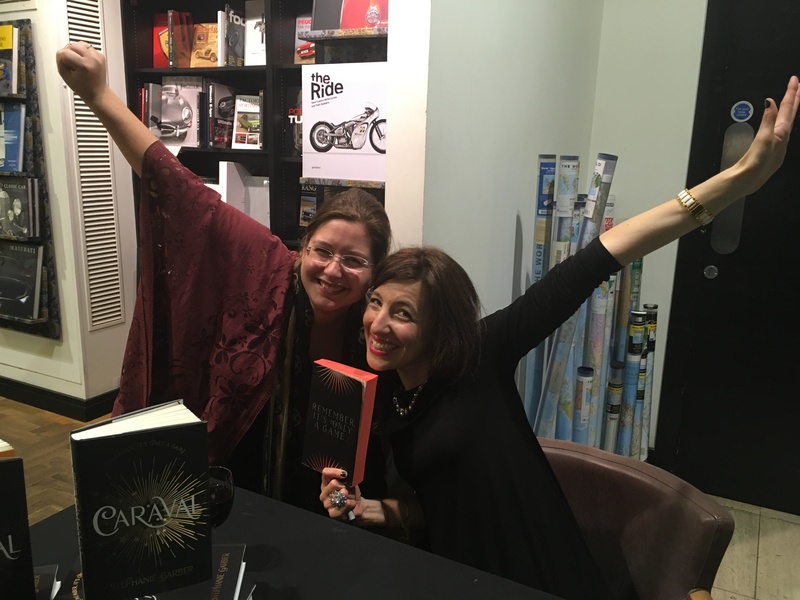 What I love about new author is how much of a fangirl they are over their own fans (some never loose this). I told Stephanie about the fact that I won her book and what I had to do to get it. She’d seen the clip and absolutely loved her. So of course we had to do a cheerleading pose. I had loads of fun and I can’t wait for the second book. 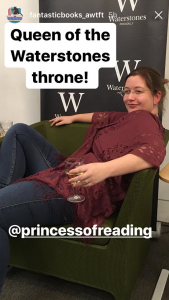 Want to know what I really thought about the book? 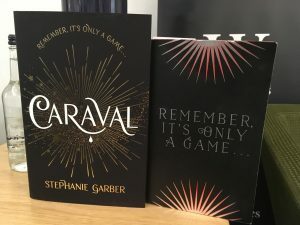 You can read my review of Caraval next week.